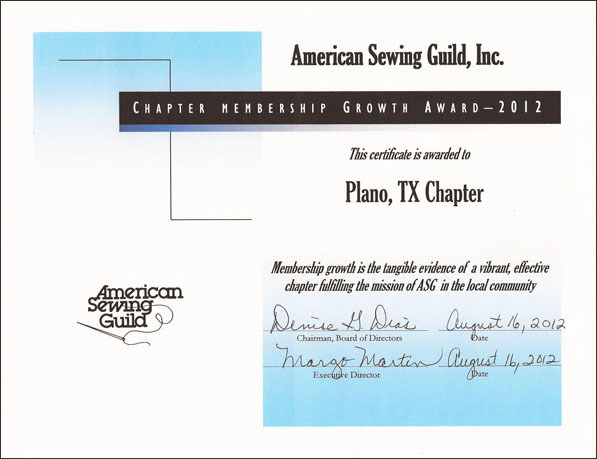 During the ASG Conference in Houston, the Plano Chapter won the “Growth Chapter of the Year Award” for the second year in a row. They asked us for our “Secret”. I believe the secret is having so many neighborhood groups; that we are a small geographical area; and our awesome members. Thank you to all of our Neighborhood Group leaders, our Chapter Advisory Board, and all of our fabulous members who are willing to jump in to present programs to the neighborhood groups and help out when needed.